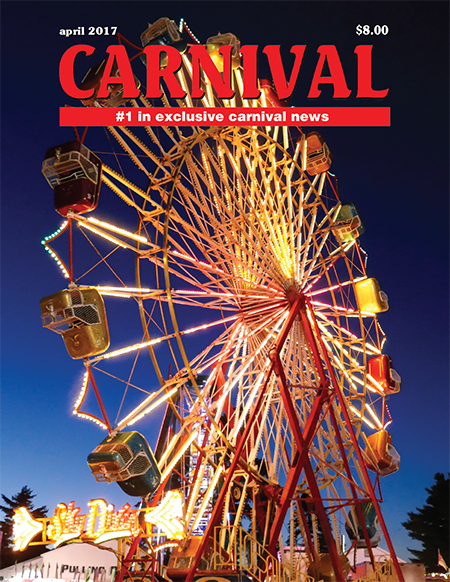 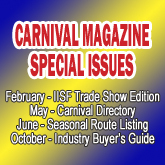 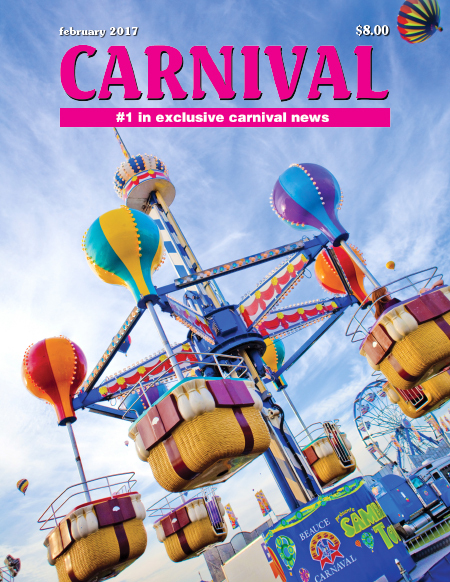 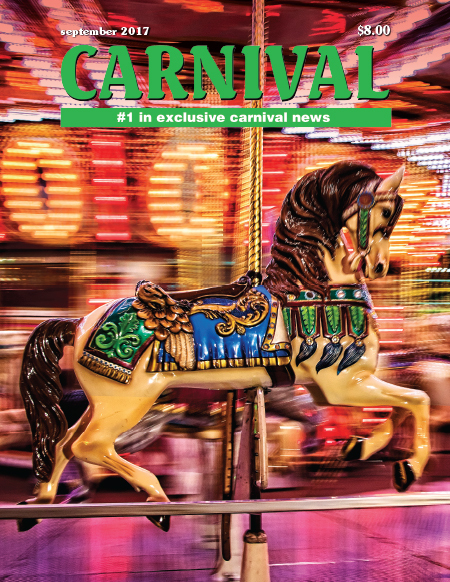 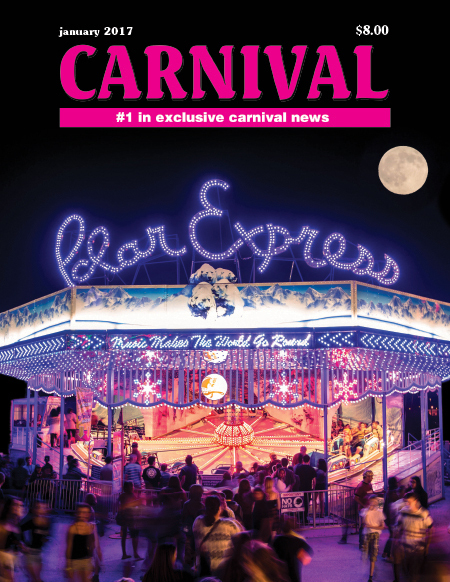 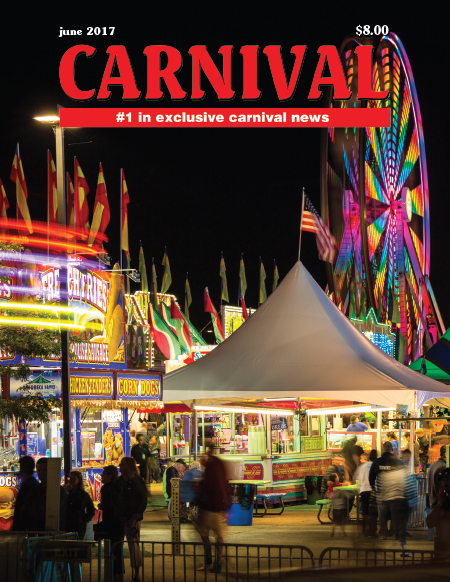 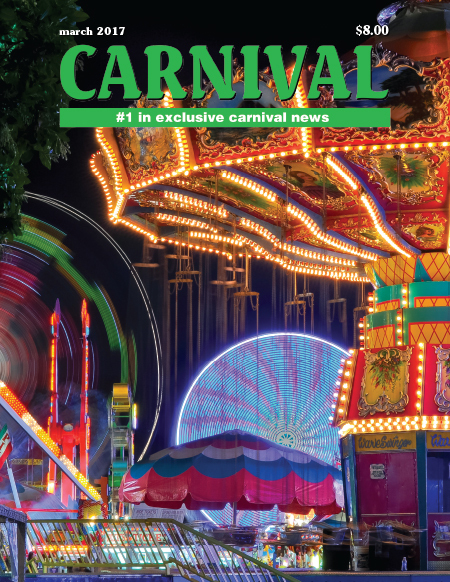 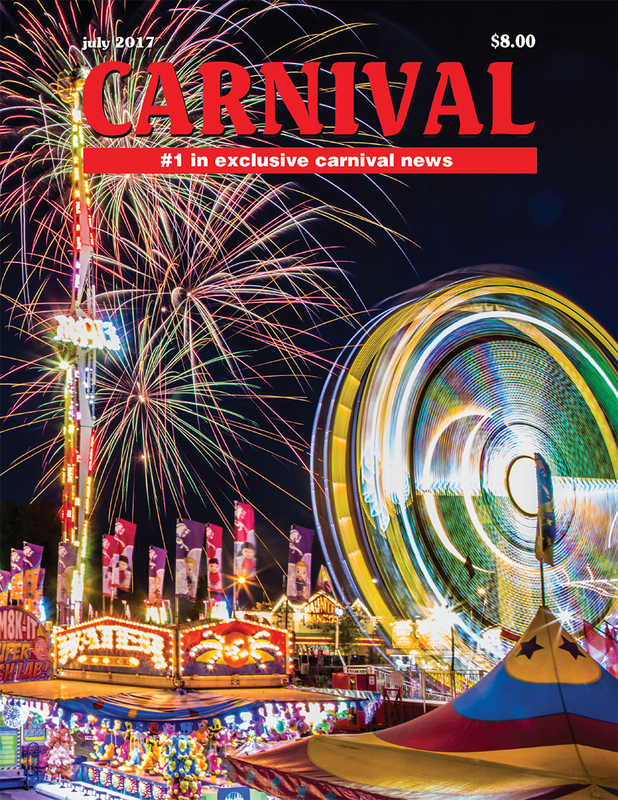 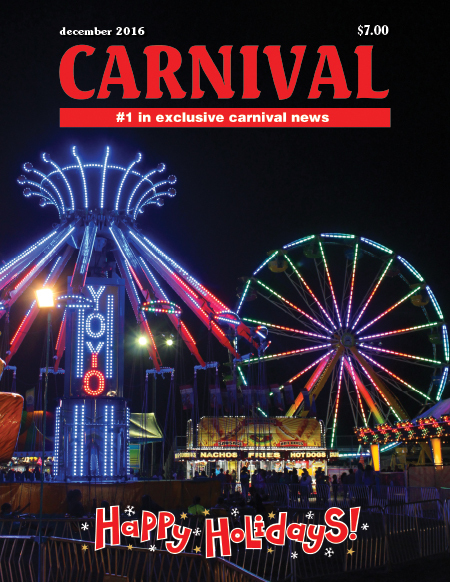 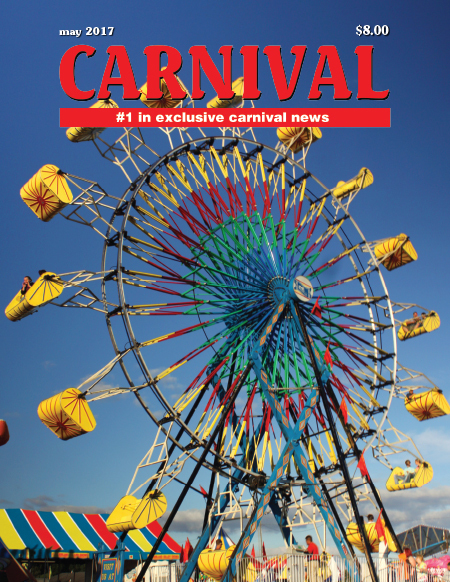 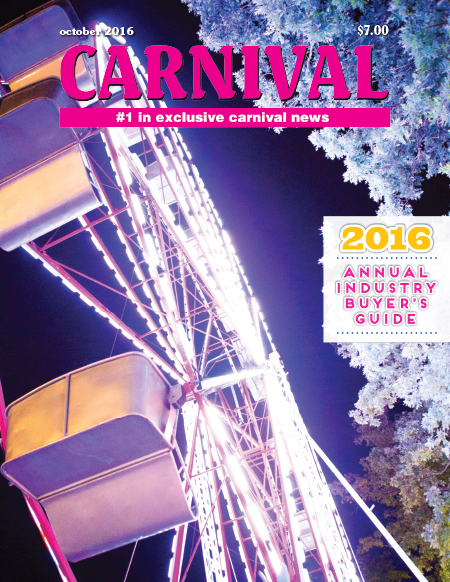 The cover is Talley Amusements new Lamberink RL33 Ferris Wheel at The Fort Worth Stock Show. 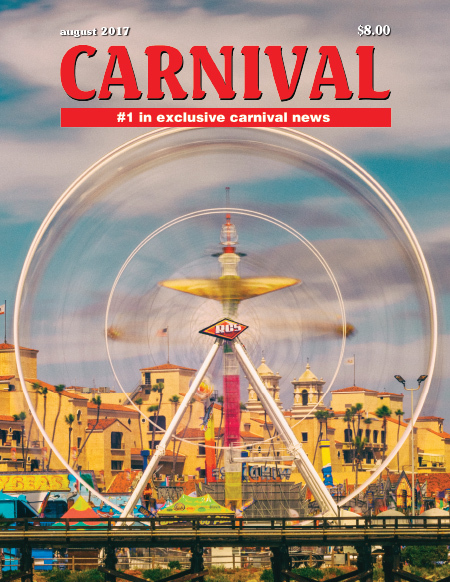 The photo is by Chris Emory. 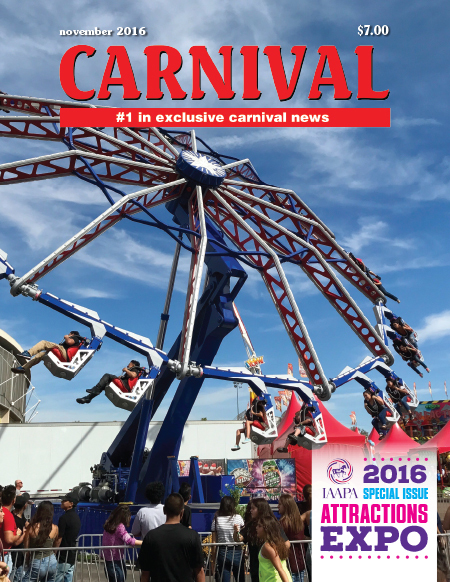 Juicys - A Spectacular on the Midway!